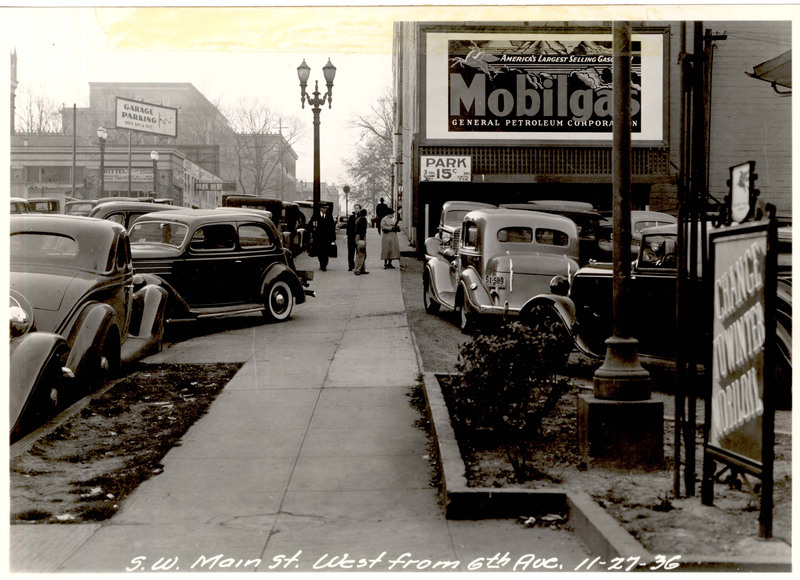 This 1936 photo looks west on SW Main Street from 6th Avenue. The Broadway Theater is just behind the Mobilgas billboard, and the old Masonic Temple Building, now the Mark Building and part of the Portland Art Museum, is in the left distance. 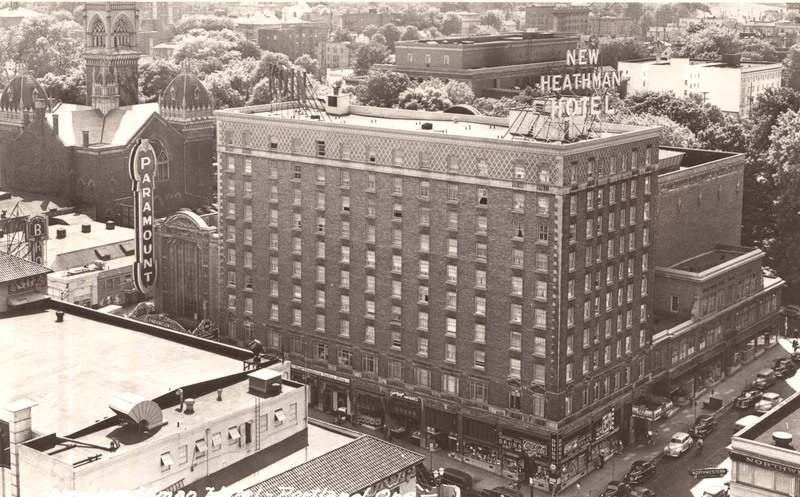 The New Heathman Hotel, at SW Broadway and Salmon, presented a much more commercial face to passersby in 1948 than it does today. Most of the windows along the Salmon Street side are closed over now, and the cluttered drug store is now the slick Heathman bar and the hotel entrance. Only one tower remains on the First Congregational Church on the next block south. 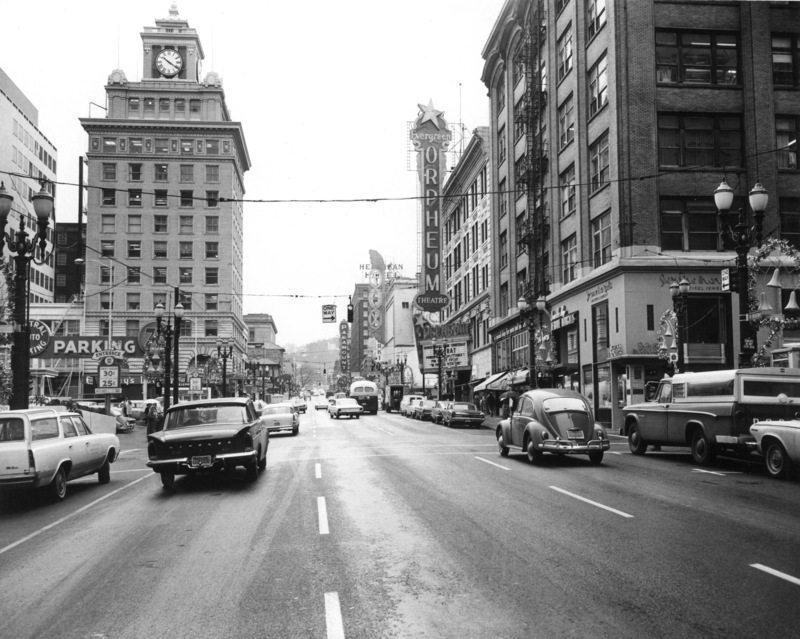 SW Broadway is all dressed up for Christmas in this 1965 photo looking south at SW Morrison Street. I’m sure it looked much more festive at night.